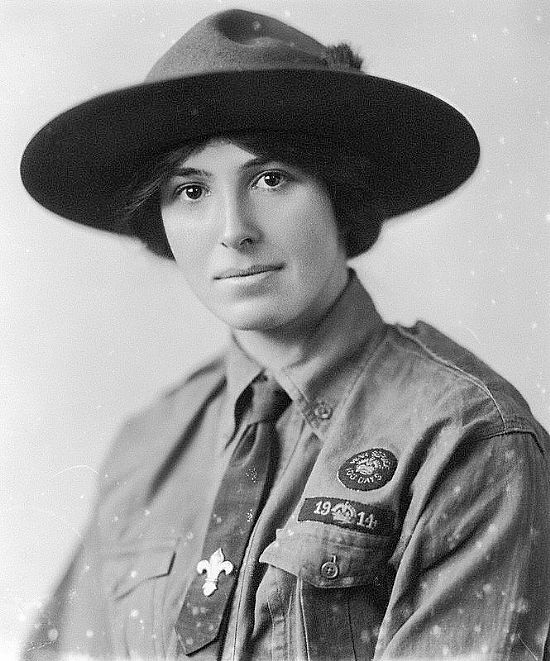 Olave, Lady Baden-Powell, G.B.E., better known as the World Chief Guide, was a "Mother to Millions". The purpose of the WebSite is simply to make available archival material not necessarily available elsewhere. There is likely to be a slight emphasis on her "family" side. Please read the "WebSite History"; and a favourite page is the REMINDERY, to which your contribution would be welcome.